Combine sweet potatoes, sugar, salt, vanilla, eggs and butter in a mixing bowl in the order listed. Mix thoroughly. Pour mixture into buttered baking dish. 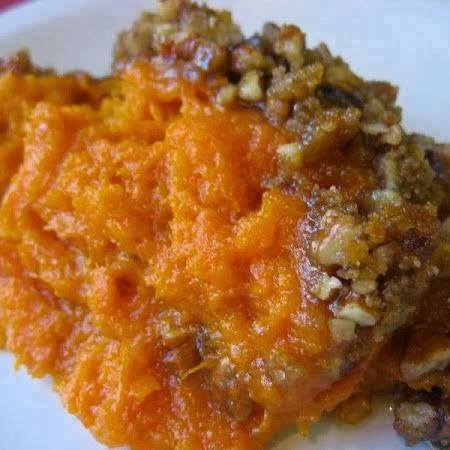 Sprinkle the surface of the sweet potato mixture evenly with the crust mixture.